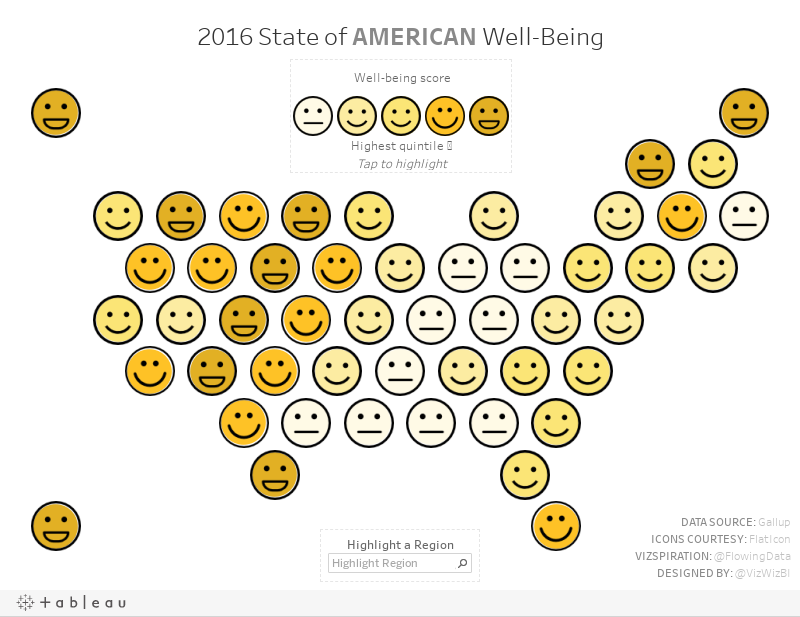 Nathan Yau produces some of the absolute best data visualisation and this one about American happiness was particularly pleasing to me. With this, here's my vizspiration about American happiness. States like Delaware are bit in the South. The smilies are ordered in a wrong way. And where is DC? When building a tile map, you have to make adjustments to lay them out, thus some states are slighly off from their real geographic location. That's not the point. DC wasn't in the data set. Smiles are ordered correctly from lowest to highest. Feel free to recreate something better on your own. That's the best way to improve. What a fun and insightful way to show a data viz Andy. It's seriously making me think about moving to Colorado although it seems quite nice in California based on this viz. great work Andy as usual. Andy I love this. Since I deal with Survey Data this gives me ideas. 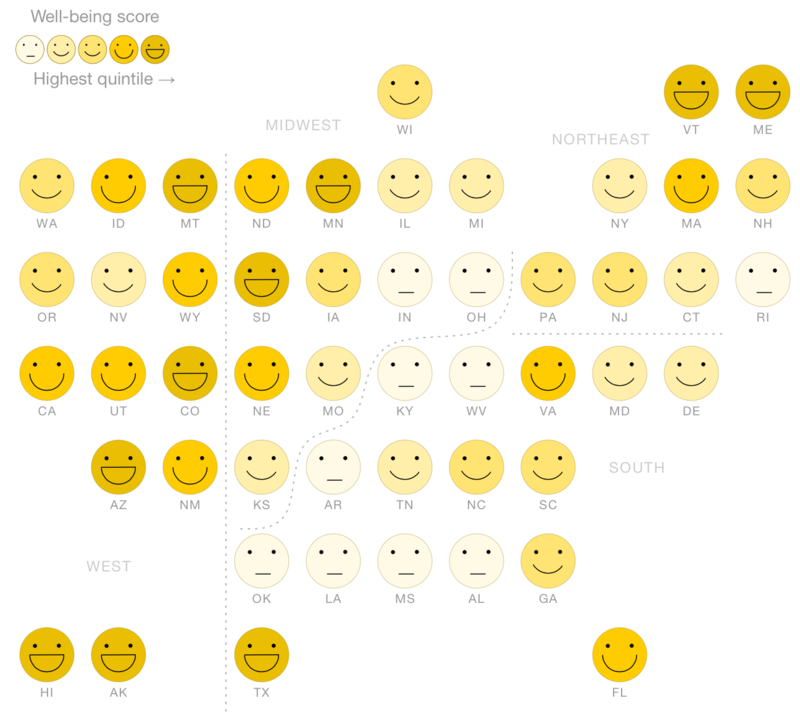 I am wondering If I can reuse this to show how satisfied are clients around the US. So I can let the user select the question and see the respondents thru the map..So amazing. Thanks for all you do. Sure, just make sure you give credit for your inspiration as I have in mine.